One of the difficulties in determining the CFR (Case Fatality Rate) of the H5N1 virus (see The Great CFR Divide) is the fact that at least 20 distinct clades of the virus have so far been identified (with numerous variations among each clade), and that there appear to be differences in how they behave. `Clades’ are essentially branches on the virus’s family tree. Each new branch has a clearly identifiable lineage from its parental strain, but has mutated far enough away to become a new strain. The World Health Organization’s report from October of 2011, Updated unified nomenclature system for the highly pathogenic H5N1 avian influenza viruses, identifies and updates the known clades of the H5N1 virus that have emerged since the detection of the A/goose/Guangdong/1996 H5N1 virus strain back in the mid 1990s. All of which means we are not watching just one H5N1 virus strain with pandemic potential, we are watching at least 20 genetically separate clades of the virus, with many minor variants of each clade thrown in the mix. And over time, it is expected that even more clades will emerge as the virus mutates and/or swaps genetic material with other viruses. To give you an idea of just how much the virus has diversified over the past 15 years, I’ve reproduced one of the WHO charts from in this report below. And among these different clades and strains (some of which have disappeared over the years), there appears to be a significant variation in its virulence, host range, and likely - transmissibility. Anecdotally, a look at the latest World Health Organization tally of known human H5N1 cases shows a wide spread in case fatality rates around the world. The latest global tally of human H5N1 cases from the WHO show 23 confirmed H5N1 infections for 2012, and 14 fatalities. In Bangladesh, of the 6 known cases, none have died, while in Cambodia 18 or 20 have succumbed to the virus. In Egypt, the CFR is running about 35%, while in Indonesia, it is nearly 83%. Although there are likely many factors involved in causing this disparity in CFR – including quality of, and delays in seeking medical care – it suggests that the H5N1 virus is more virulent in some regions of the world than in others. Which brings us to a study that recently appeared in the Journal Transboundary and Emerging Diseases that looked at two very similar H5N1 viruses of the same clade (2.3.2.1) that produced widely varying pathogenicity in mice and ducks. A number of genetic markers for virulence of avian influenza viruses (AIVs) in different hosts have been identified. However, we isolated two H5N1 AIVs, A/Chicken/Jiangsu/k0402/2010(CK/10) and A/Goose/Jiangsu/k0403/2010(GS/10) with similar genetic background, but most well-defined molecular markers for virulence in mammals and avian species were not found in both viral genomes. In addition, pathogenicity of this pair of viruses in different hosts remains unclear. Therefore, we evaluated their pathogenicity in chickens, mice, ducks and guinea pigs. Infection of CK/10 and GS/10 in chickens caused 100% mortality within 24 h.
Mouse experiment showed that CK/10 was highly pathogenic (MLD50 = 0.33 log10 EID50), whereas GS/10 was avirulent (MLD50 > 6.32 log10 EID50). Interestingly, the virulence of CK/10 in ducks (DLD50 = 3.83 log10 EID50) was higher than that of GS/10 (DLD50 = 7.7 log10 EID50), which correlated with viral pathogenicity in mice. Although CK/10 and GS/10 showed distinct pathogenicity in mice, they both were lethal to guinea pigs, with CK/10 replicating to higher titres in airways than GS/10. 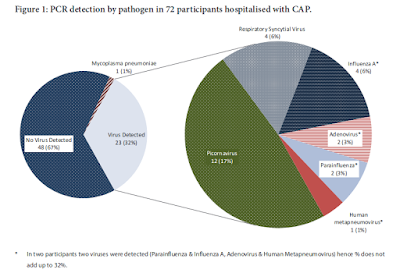 Collectively, these findings suggest that AIVs with similar genetic backgrounds may exhibit distinct pathogenicity in specific hosts and that some unknown molecular markers for virulence may exist and need to be identified. With differences this great in the pathogenicity of two closely related H5N1 viruses, one might reasonably assume that even greater differences in host range, transmissibility, and virulence may exist between more dissimilar clades. Which just might help explain the `dueling studies’ problem, where some seroprevalence studies have shown a small but significant percentage of apparent asymptomatic H5N1 infections in exposed populations, while the majority have not. Granted, none of this brings us any closer to knowing the true CFR of the H5N1. But that may well be an impossible question to answer accurately, unless we first specify which strain, clade, or sub-clade of the virus we are talking about. Not an easy topic to explain, very nicely done.